When living in a home whose basement is unfinished, you can only dream of what you can turn this space into. However, when selling your home, you definitely want to know whether your home will fetch a higher price if you finish the basement. 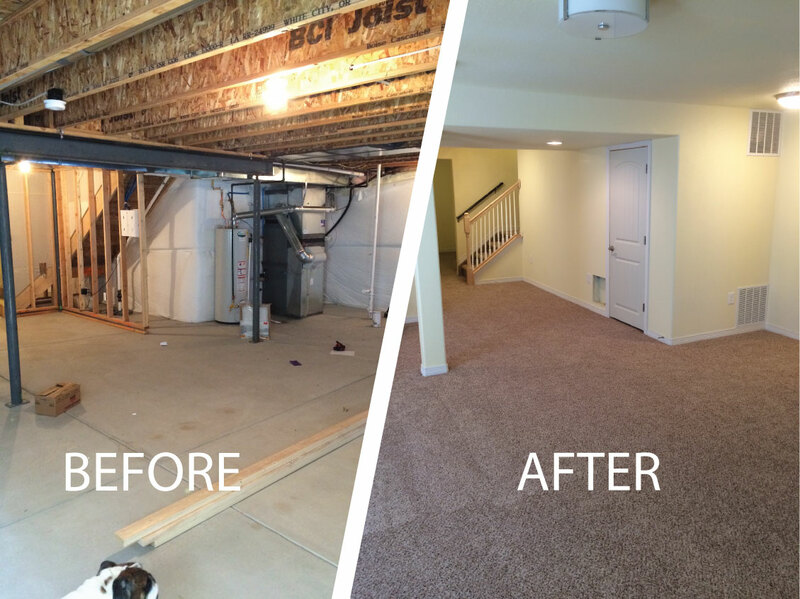 The amount of money that you need to finish an unfinished basement will vary depending on its size. However, you can save money by doing the job yourself using basic materials. Nevertheless, if you want the basement to meet the quality standards of the rest of your home, you should hire an expert. But, if you splurge on the basement, you may not recoup the costs of finishing it after selling the property. Therefore, before you embark on this project, talk to a professional real estate agent. Find out whether finishing the basement will boost the sale value of your home depending on the current market conditions and the required improvements. Basically, there are times when finishing a basement will attract more buyers and enable your home to sell faster. If the homes for sale in the current market have finished basement, selling a home with an unfinished basement will definitely affect your sale. As such, finishing the basement in such a market will be advantageous because it will enable your home to attract buyers that want to use it. Similarly, if the market has properties with unfinished basements, finishing your basement might enable your home to appeal to more potential buyers. Nevertheless, you should be careful to ensure that you will recoup the money that you spend on basement completion when selling the house. Essentially, studying the market and talking to a reputable realtor will enable you to determine whether finishing the basement will boost the sale value of your home. Homes in a neighborhood have similarities. Realtors say that you shouldn’t be far from the norm when selling a home to attract more prospective buyers. For instance, don’t make your house the most extravagant or the cheapest in the neighborhood. If for instance, most homes have four or three bedrooms and yours has two bedrooms, you can finish the basement and make it a third bedroom. This will enable your home to appeal to more prospective buyers. Also find out whether homes in your neighborhood have basement options like media rooms, play rooms, and offices. If these are the standard in the neighborhood, finishing the basement will add the sale value of your home. A finished basement enables prospective buyers to envision themselves using it for different purposes. However, an unfinished basement enables prospective buyers to envision its customization depending on their needs. Thus, determining whether finishing the basement will add the sale value of a home requires research of the market and other homes in the neighborhood.